RSVP for Hardin Library’s second film screening and panel discussion as a part of our inaugural film series! We’ll be showing the film at Hardin Library for the Health Sciences beginning at 6pm on Thursday, March 24th. If you are able to join us, please RSVP online . 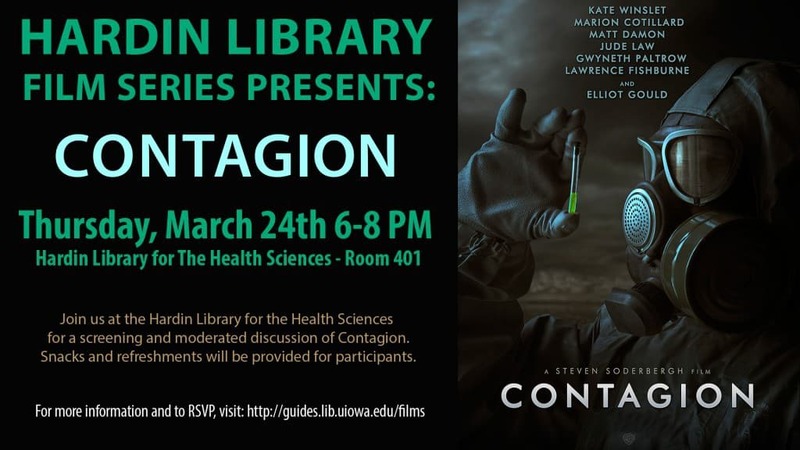 We will be screening Contagion, a feature film that offers a realistic portrayal of a pandemic in the 21st century. Joining us for our panel discussion will be Dr. Loreen A. Herwaldt from the Department of Internal Medicine, Infectious Diseases and Dr. Margaret Chorazy from the Department of Epidemiology. 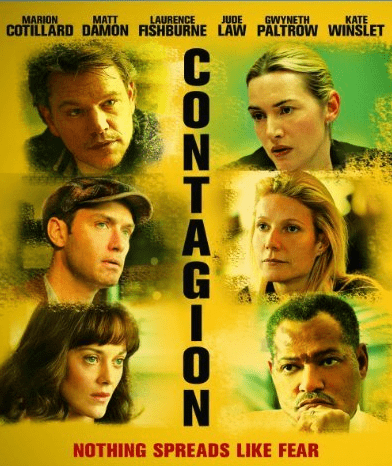 Come for the feature film and movie snacks, stay for a stimulating discussion about global pandemics and the public-health response to such a crisis. For more information about the film or the panelists, please go to: http://guides.lib.uiowa.edu/films. The screening will be held in Room 401 in Hardin Library. Bus? Take Pentacrest Cambus to VA Loop stop.